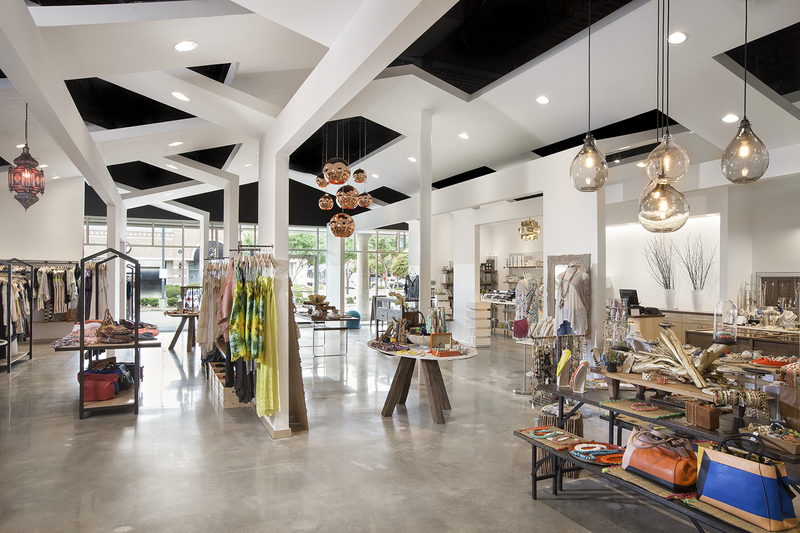 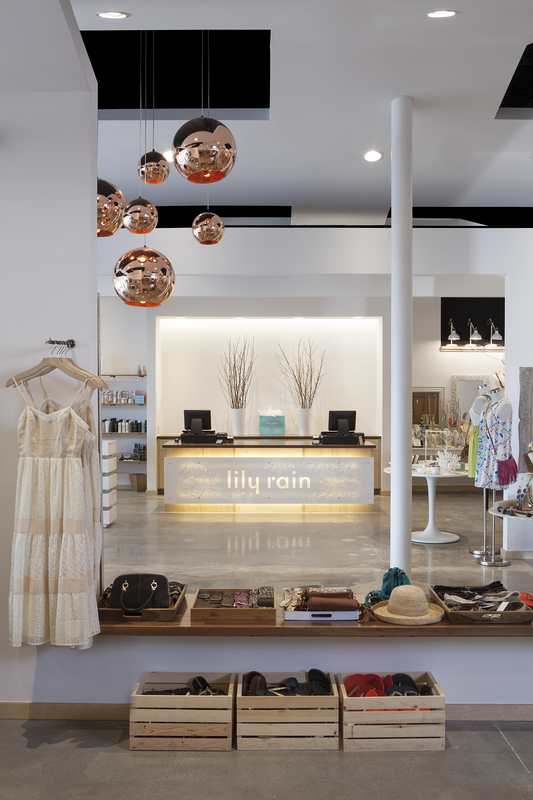 Lily Rain is a retail boutique specializing in an eclectic mix ranging from clothing and jewelry to home decor. 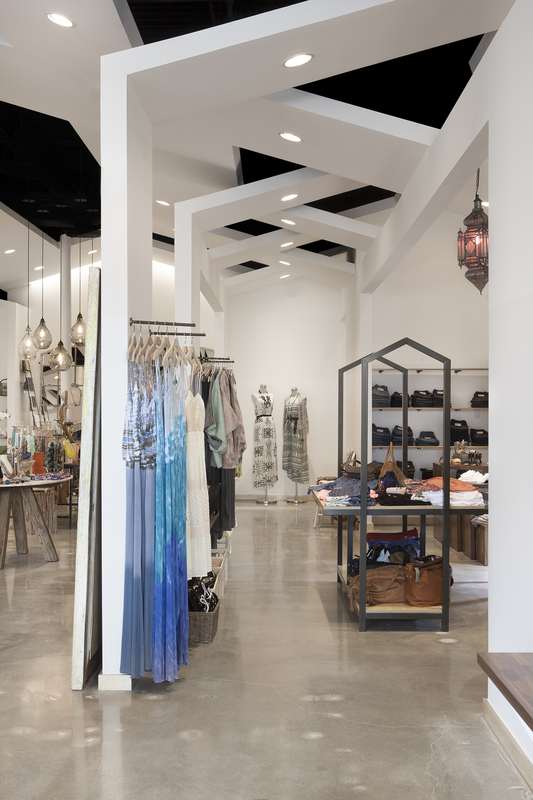 The company’s philosophy is to appeal to both moms and daughters and to curate a shop where they can find unique and cool items. 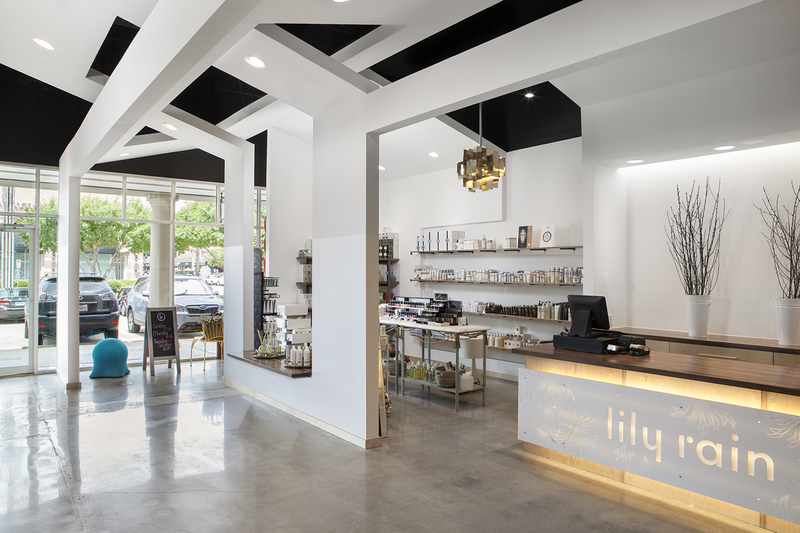 The founders of Lily Rain travel all over the world to create an ad hoc collection of products that speak to different generations and cultures. 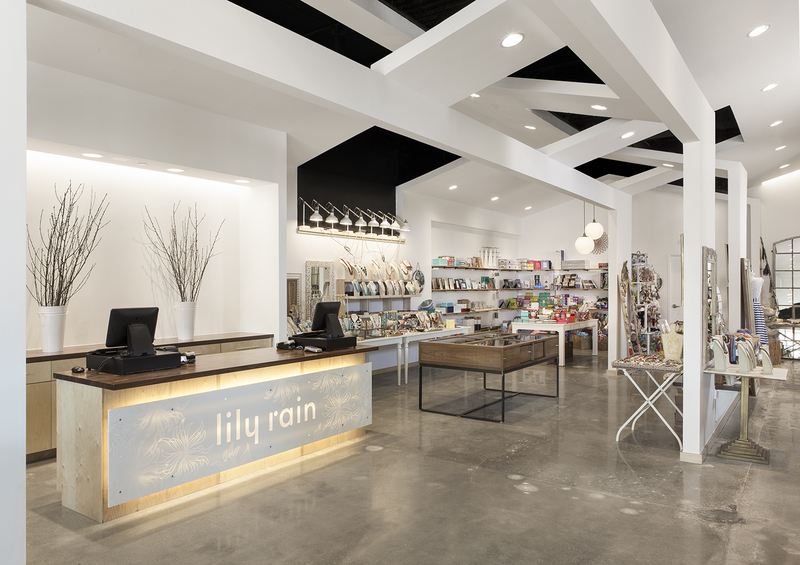 In crafting an image for Lily Rain, the flagship store uses the abstraction of the house to create a comfortable and familiar image, an inviting space to linger and shop. 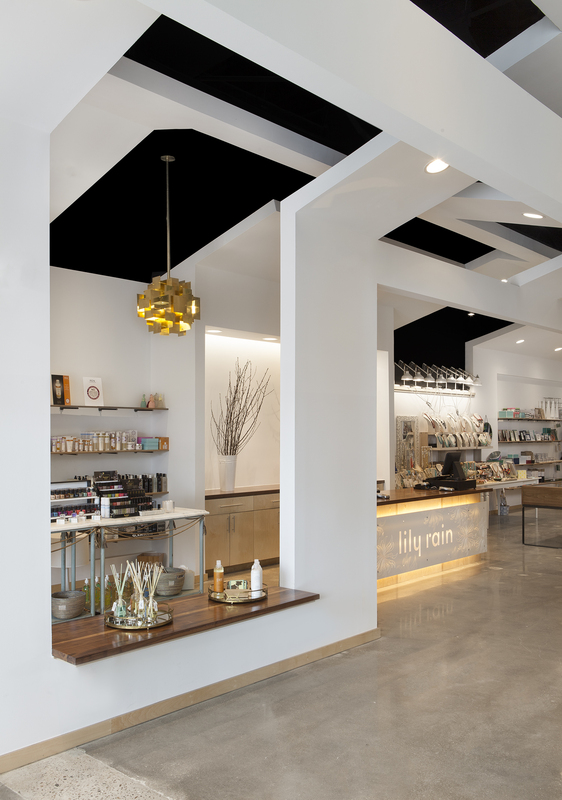 The store is composed of three interlocking pitched roofs, creating a series of intimate spaces – open living rooms and hallways that flow from one to another. 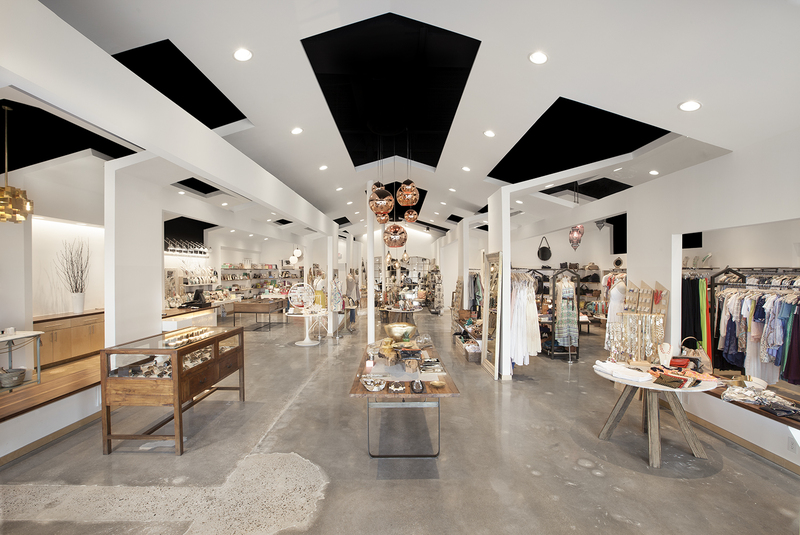 It recalls the experience of going treasure hunting at an estate sale or an antique store.